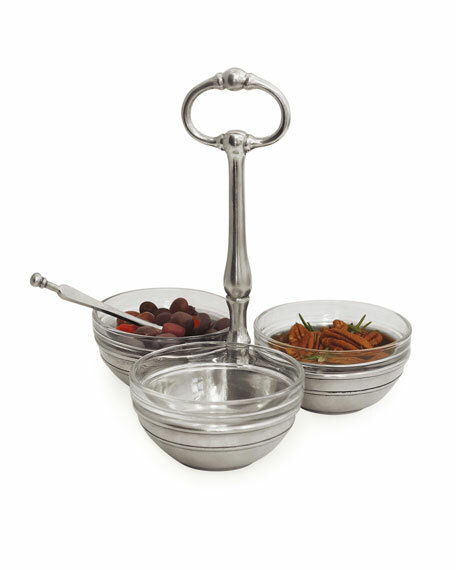 Condiment trio crafted of pewter and glass. MATCH Pewter is handmade by artisans in Northern Italy. For in-store inquiries, use sku #1748578.